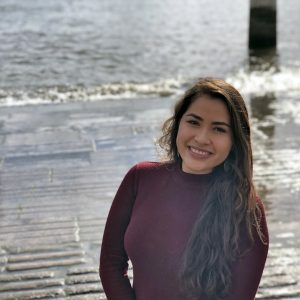 Luz Stephanie Mejia is a returning study abroad student who spent her fall 2018 semester in Toledo, Spain at the Universidad de Castilla-La Mancha. She is a junior majoring in Psychology and Chemistry with a Pre-Med concentration. IPC: Why did you choose to study in Spain? LM: I chose Spain to better my Spanish in general along with a better insight of the Spanish culture to better myself in my latino heritage. I chose Toledo because it was a small beautiful touristic city near the capital of Madrid. LM: Very important to better not only social skills, but to better inform worldwide customs and opinions of place of home and their country as well. Cultural knowledge and lifestyle along with political and medical views was highly realized throughout my travels in not only Spain but Europe as a whole. LM: Not only would live unrealistic and imaginary events, but the people they meet and spectacular sites/views will make them realize that life is larger than what they’ve been through, and that people come through so many paths of life that in a way everyone relates- you never feel left out. You always have a chance to change a situation- be it theirs or someone else’s. Always learning and growing- no matter how casual a day was. A pure adventure in totality. IPC: What else would you like us to know about you? LM: First generation Latina student studying Psychology with a pre-health concentration. It was going to be difficult to include a semester abroad, but I made it happen.